1. 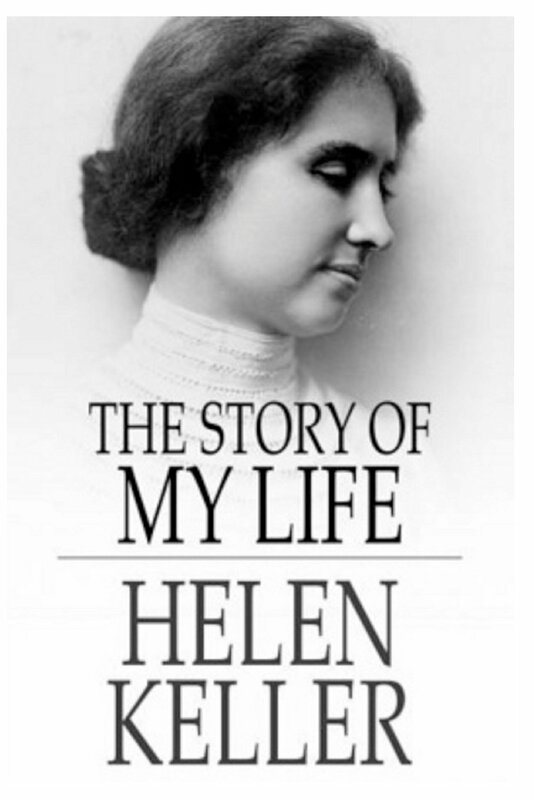 The Story of my Life by Helen Keller. This book was on my list for a long time and I finally read it. It was fascinating. I would recommend. The only thing I knew about Helen was that she was blind and deaf. I has wrongfully assumed many things about her. I assumed that she was born that way, but she really lost her sight and hearing at 19 months due to an illness. I also very wrongfully assumed that she would probably have an elementary level education, but she was incredibly smart. Her teacher, Anne Sullivan, was incredible and dedicated her entire life to being Helen's teacher. I didn't know anything about the way Helen learned, and it was so intriguing to read about. She communicates primarily by the finger alphabet, meaning that Anne went everywhere to her and spelled everything out into her hand. I can't comprehend how fast and skilled she was at that! I know the finger alphabet, but there is no way I could spell anything to anyone at a speed that could keep up with a conversation. Helen went to college, read all the time, knew multiple different languages (English, French, German, Latin, and Greek, I believe), and also learned to speak by feeling other's vocal chords when they talked and emulating the sounds. The book is divided into different parts- Helen's account of her memories, Anne's accounts of her teaching (her education, literacy, speech, etc. ), and letters that Helen wrote. My favorite parts where Helen's earliest memories and her thoughts about her beginning language acquisition skills, and also where Anne talked about her first few years with Helen. 2. Is Everyone Hanging Out With Me? 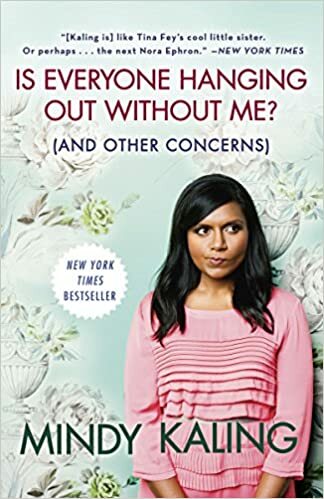 (And Other Concerns) by Mindy Kaling. I definitely don't have as much to say about this book as I did about Helen Keller, but it was an easy, funny, enjoyable read. I liked it, but it didn't rock my world. I wouldn't tell you you have to read it, but I wouldn't tell you not to either. 3. 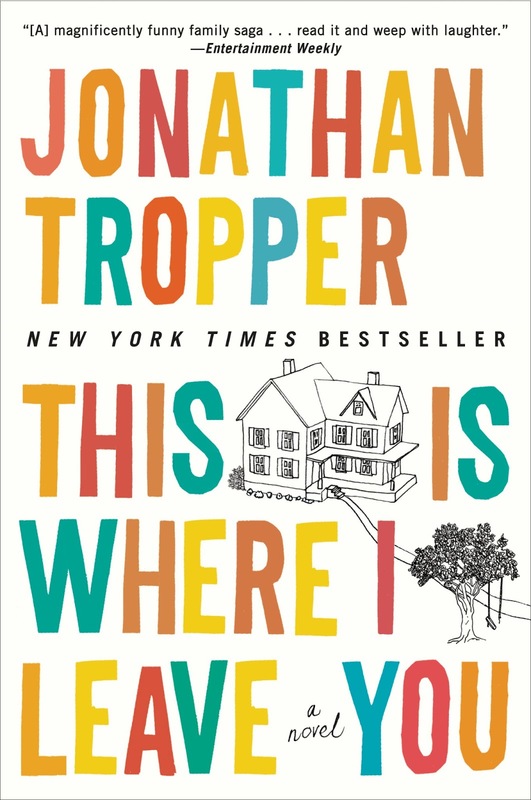 This Is Where I Leave You by Jonathan Tropper. I don't know if I can even include this book on my list, because I only read 30 pages and promptly returned it to the library. This book must clearly be popular, because it's a New York Times Bestseller and they also made a movie out of it, but I did not like it at all. It's about a family of four children who come together to "sit shiva" when their father passes away, meaning they all stay under the same roof for 7 days together. I didn't even get that far into the book to see them come together, but that's what the back cover says. In the first 30 pages, basically all I read was an extremely graphic retelling of when one of the siblings, Judd, walks in on his wife having an affair with his boss. It was very detailed and I just couldn't get past it. There was also quite a bit of cussing. Those two things made it an immediate return for me.